Peripheral maker Hyperkin already produces portable units that run all kinds of classic software. There's a Genesis, there's an NES... and now there's a Super NES. Back in the day, a portable SNES would have been heaven sent. Oh how all those car trips would have been soothed by the woop, woop of squished Goomba's- Even now though, has the dream really lost any luster of it's luster? Hyperkin, a rapidly growing 3rd party developer of video game peripherals, has announced the upcoming launch of the SupaBoy Handheld Video Game Console designed for SNES game cartridges. 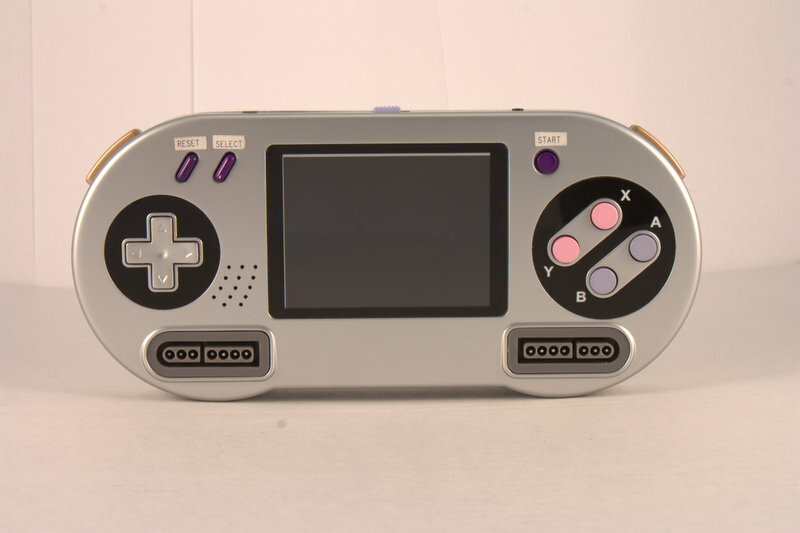 Equipped with a 3.5” screen, the SupaBoy is designed to look like one of the original SNES controllers and has a port built into the top that plays original 16-bit SNES cartridges. SupaBoy is supa’ cool!